April 8 - Nugget and Fang - 3:00 p.m. The story of “Nugget and Fang” comes to life in a colorful musical by national touring theater ArtsPower on the Dogwood Center’s main stage on Sunday, April 8 at 3:00 p.m. The musical is geared toward grades pre-K to three, and is adapted from Tammi Sauer’s 2013 book. 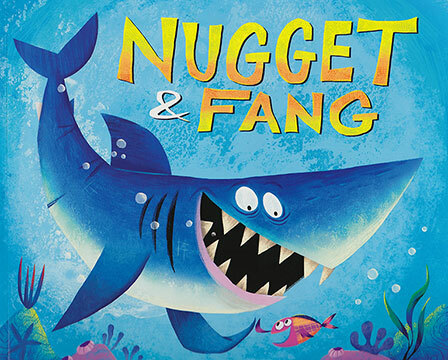 Fang is a shark, Nugget is a minnow and they tell an endearing story of unlikely friendship. At Nugget’s first day of school he learns that minnows are supposed to be afraid of sharks. Fang takes desperate measures to prove his friendship, but nothing goes as planned, until Nugget and his classmates find themselves in troubled waters. Family Friendly Event: Great for kids Pre-K through 3rd Grade! Click here to purchase your tickets now! $12.50 Adults, $5.00 Children. Main Stage. General Admission. 3:00 p.m.
April 14 - Yes! The Show is On! Grand Rapids Ballet School Junior Company presents “Wizard of Oz”- 3:00 p.m. 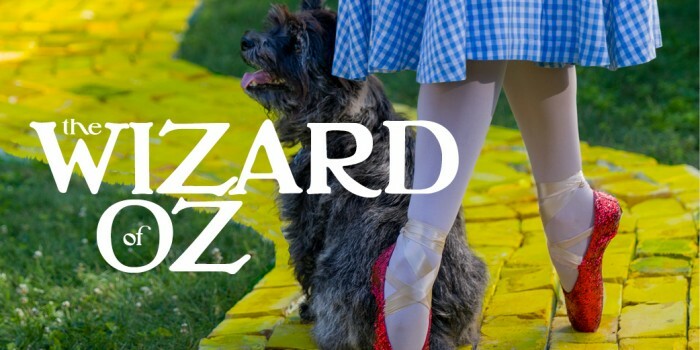 Fans of the classic story can see “The Wizard of Oz” ballet performed by Grand Rapids Ballet School Junior Company at the Dogwood Center on Saturday, April 14 at 3:00 p.m. Bring the entire family and go down the yellow brick road with Dorothy, the cowardly lion, the tin man, the scarecrow, and the wicked witch. “The Wizard of Oz” features a talented cast of student dancers, inventive choreography by school director Attila Mosolygo and delivers a professional-level show that is fun for all ages. The school company completed six successful performances and their world premiere of the “Wizard of Oz” ballet in Grand Rapids during February and March, and are now excited to bring their production for a Newaygo County audience. This program is funded in part by the Fremont Area Community Foundation, Gerber Foundation, and Ted and Nancy Johnson Endowment Fund.